This is How to do an Email Campaign | ASTRALCOM - Content Strategy, Conversion Marketing and Customer Acquisition. 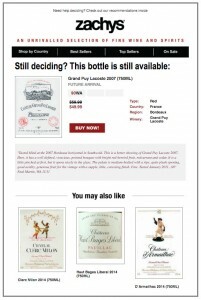 Zachys Wine & Liquor implemented a triggered email marketing campaign and generated a 53% increase in ecommerce revenue. But it wasn’t just because they sent an email blast to their subscriber base. 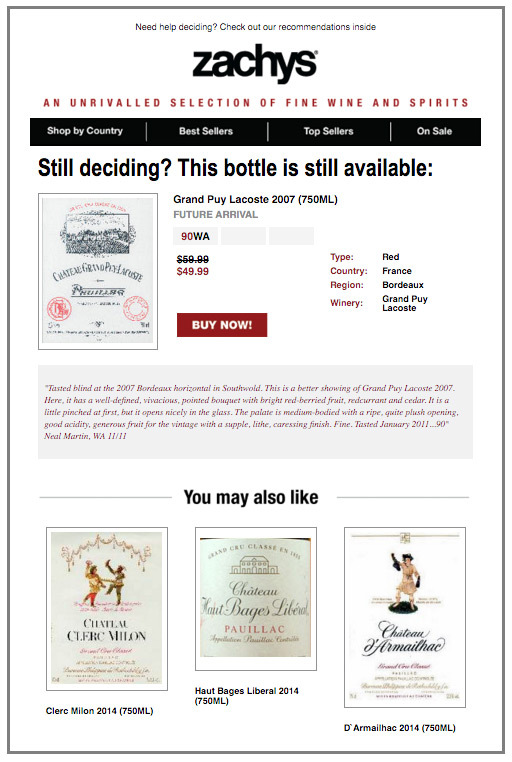 There’s more to any successful email campaign than just a single blast and MarketingSherpa’s article uses Zachys Wine & Liquor to demonstrate just how it’s done. The article goes into details on 4 solid steps that Zachys Wine & Liquor used to deliver an outstanding result. By knowing your customers and matching them to your product offerings and with well-constructed emails, delivered in context to the subscriber, email campaigns remain among the highest in ROI. Email marketing isn’t rocket science. But it does require the attention to the aspects in this post. Try creating a triggered email campaign yourself, or reach out to us and we’ll help you.